Nokia has revealed that there is a problem with its flagship Nokia N8 handset, with a select few devices automatically switching off and not switching back on again. Nokia sales chief Niklas Savander explained that "a limited number of N8 users" were suffering from the problem but another spokesperson for the company had said that the problem occurred in the production of the phone and had now been fixed. This is nothing but bad news for Nokia, who had hoped that its N8 flagship handset would prove to the world that it has still got what it takes to rule the smartphone world. Not-quite-glowing reviews, however, proved that Nokia still has someway to go before it matched HTC and Apple for quality handsets. 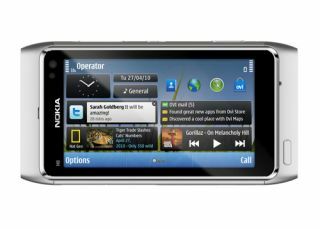 Nokia has explained that only a small number of people would be affected with the phone's fault. It will be hoping that, like the problems Apple had with the iPhone 4, it won't affect sales.